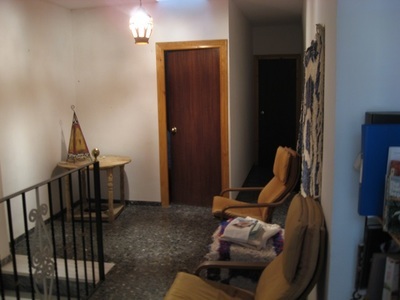 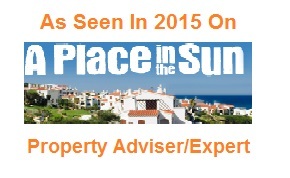 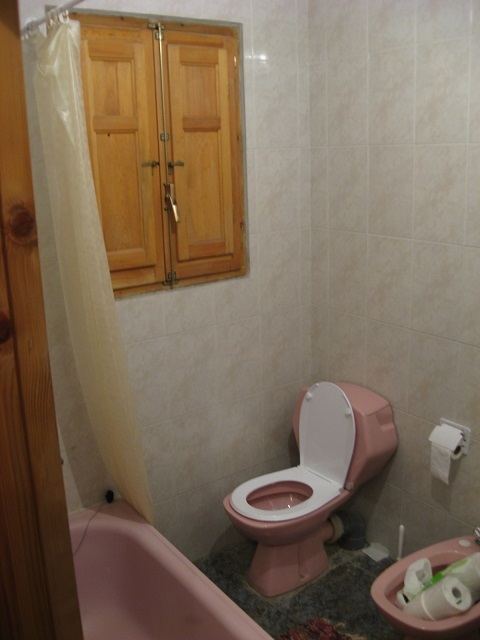 almegijar townhouse property for sale - HomesEspana Orgiva Property Real Estate Agent Inmobiliaria Since 2003 UA-39695354-1 HomesEspana Orgiva Real Estate Agent Inmobiliaria In Orgiva and lanjaron for Properties In The Alpujarras-Granada-Andalucia-Spain. Almegijar is 6km from torvizcon village, where there are a few bars shops. 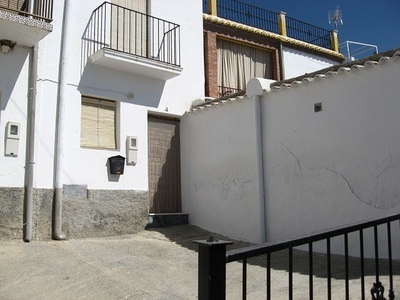 Almegijar is reached by a 6km winding but very good road, the house is in a very quiet little lane, the property has main water electric and sewage, there is a little bit of outside space for table and chairs at the front of the house but no roof terrace, maybe possible to add a roof terrace. There are windows only in the front of the house bathroom and main double bedroom, but no windows in the rest of the rooms, the other 2 bedrooms do have a small roof like skylight window. 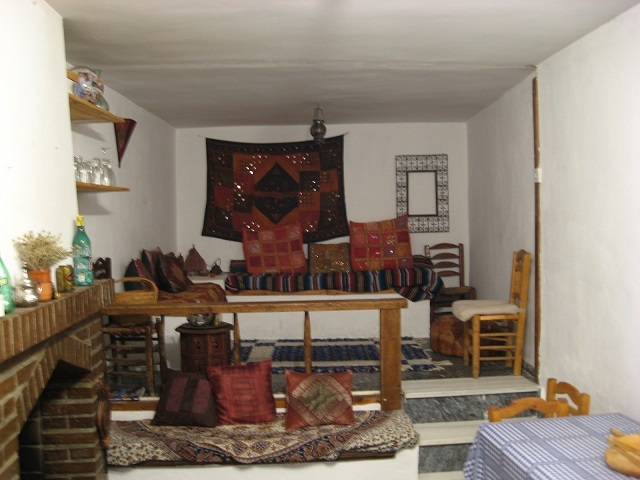 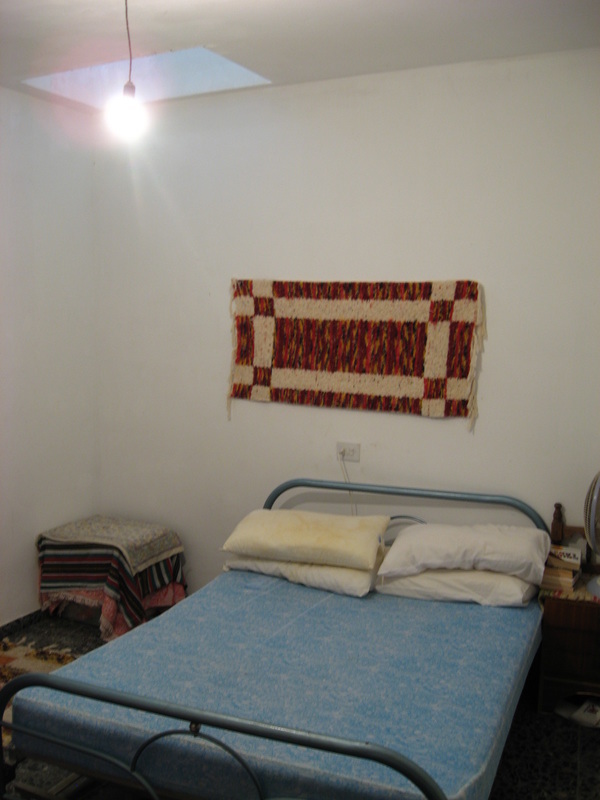 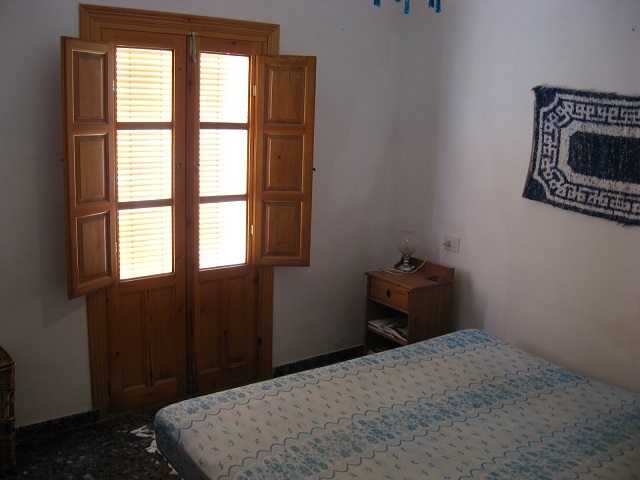 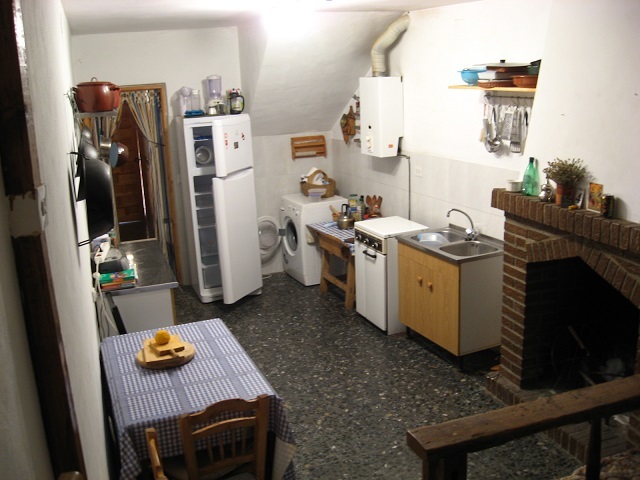 The kitchen and lounge with its open fireplace is one large room, the house is in good condition and only need personal touches to it, this property would suit people looking for that peaceful location small Spanish village to get away from it all and just relax.